Hi, bloggers. Today brings post #5 in my How to Blog Party series, which is written for new and experienced bloggers...lots of tips and tricks for joining and hosting a blog/link party. You can click here to start at the beginning of the series and see a round-up of all the posts so far. 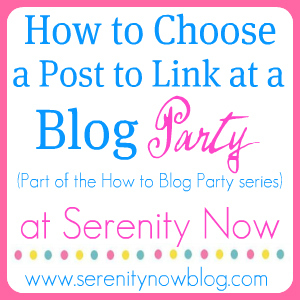 Last week, we talked about how to find a good blog party. You are basically advertising your blog to new readers (for free! 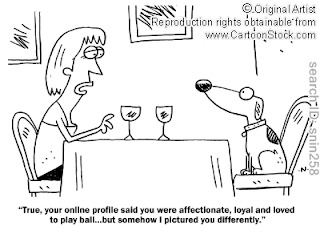 )...so you need to put your best foot forward. Most of you guys know that I host my own weekly link party, and the theme is "your best post of the week." You should really look at other link parties with the same eye! Are you putting your best work out there, or are you linking up for the sake of linking up and hopefully snagging a few extra pageviews? What would you want to read? Put yourself in the readers' shoes. Would they rather click over to see your sponsored post about canned ham, a round-up of magazine photos, or your recipe for pecan pie? Don't link up projects or photos that don't belong to you! Please, please don't use a magazine/Pinterest photo of a recipe/craft/room if it isn't yours. Take your own shots, or come up with a "Pinnable" graphic or something, if that's important to you. I'll be completely honest. When I see a beautiful thumbnail of a decorated living room at a link party and click over to see how the blogger accomplished the design work, I am always 100% disappointed when I see that he/she simply linked up a collection of "inspiration images" or a round-up of painted bookcases, etc. Readers want to see what you can do! Don't link up other people's work to a link party to bring traffic for yourself. Find one of your own posts or projects, take good photos, write an engaging post, do a little editing, and you have something to link up! The same goes for Giveaways, other link parties, or advertising your shop or site that sells stuff. 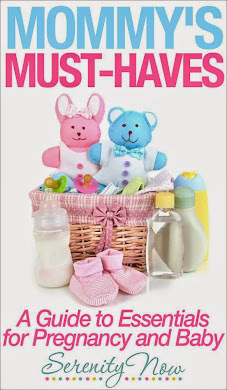 Most bloggers who host regular link parties also offer advertising. If you are looking to sell a product, pay for advertising. If you want to promote your Giveaway or your own link party, take advantage of social media. In a pinch, ask some blogging buddies for ReTweets, Pins, or Shares. If you don't have any blogging buddies, then (frankly) maybe you aren't ready for a Giveaway or a link party. Just because I don't regularly post jaw-dropping DIY projects and my photography skills aren't as accomplished as some of my very favorite bloggers doesn't mean that I shouldn't link up my post to a blog party. If I had a cool idea for a craft and my tutorial is well-written and easy to follow, then there's no reason why I shouldn't link it up! The same goes for a recipe that I know is absolutely delicious. There is a definite learning curve to blogging. We should always strive to be better, but if staging and photography are something you need to work on, then work on them. And link up in the meantime. Look at the theme for the party before you add your post. Is it for tips and tutorials? Then be sure your tip or tutorial is presented in the best way possible. Is it a craft link party? Then don't link up your post about a coffee giftcard giveaway. Use your best judgement, and you'll be fine! Always remember that readers and visitors judge by your content! Do you truly want their first impression of your site to be of the random post about the tissue paper you found in the Target parking lot? Again, think about which of your posts a new reader might find most interesting, and link that one up! Next week brings a "hot topic," but it's one that needs to be discussed and I get emails asking about it all the time. "What is a link back and how do you add one to a post?" Join me next week and we'll discuss! 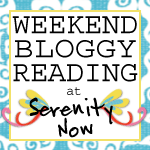 My Weekend Bloggy Reading link party is on for tomorrow. There have been some weeks were I haven't added a post to your linky party for the simple reason being I didn't think it would wow new readers. If all I have is a fairly normal post about my family or something I don't generally link up. Even though my usual readers might find it interesting it may not have the content needed to entice people to follow my blog. I also like to check Google Analytics after a link up to see how well it interested people. This helps me gauge what people would probably like to read more of. Great post Amanda! I am with you on the thing about only linking up your own stuff! I hate when I click over and I see a ton of pretty pics but no info on how to achieve those pictures! I feel this post was written just for me. When asked to send my best blog of the week, I did not understand that it had to be something you actually made. I am a total newbie when it comes to linking parties. My blog is about decorating and design and I love to give inspiration to readers and that is why I post using beautiful pictures from others. I usually have a lesson in the blog on how to achieve this look, but sometimes I just use beautiful photos to help others get ideas and inspiration to do it themselves. This week for example, my best blog was about putting a sofa in front of the window. Is it a good idea or not? I used other's pictures (always trying to give them credit)to show examples. But I also included how I used this in my own home. So would this be ok to link? Or am I just at the wrong party? I have learned so much from reading your blogs and I really appreciate all I have learned! Good tips. I 100% agree about being disappointed when the post is just a roundup of projects, unless it's stated in the title "_____ roundup" so I know what to expect. These are great tips, Amanda. I can't tell you how much I appreciate your sharing "how tos" like adding a link back, which I did for the first time in last week's Weekend Reading party. Your blog resources page is AWESOME! Most of my blogging has been self-taught, but I think I've gone as far as I can go just figuring things out on my own. The fact that you are willing to share what you've learned a long the way is HUGE. I've encountered bloggers who are not as willing to share "proprietary" information about how they do things on their blogs, which, of course, is their right. But I tell you, I will return to a blog continuously when not only is there good content but also a spirit of collaboration. Thanks so much! P. S. Kelly (I've noticed that there are lots of Kelly/Kelli/Kellie/Kelley(s) out in blogland!) - I can't speak for Amanda, but I think your post about the couch sounds just right for a linky party. I like to see how a blogger used inspiration pictures for her own decor/craft. It helps me see how I can translate the great things I see in blogs into my own space with my own furniture/resources. As a new blogger, I definitely appreciate your advice. I agree that original content (or a personal spin on it) is far more interesting to readers than just lists or pictures of other people's projects and ideas. I limit the number of posts I publish in a week, just so I don't find myself falling into that trap.